AV-Comparatives says Avira is “outstanding” when users call technical support. The post “Call me,” says Blondie … and Avira appeared first on Avira Blog. Nobody likes being put on hold, but at some time everyone has to call customer service. And while waiting for our problems to be resolved, we wonder how our experience compares to those at other companies and services. The post Avira customer service makes the highest grade appeared first on Avira Blog. Avast SecureLine VPN anonymizes your browsing and makes your logins, emails, instant messages, and credit card details invisible. 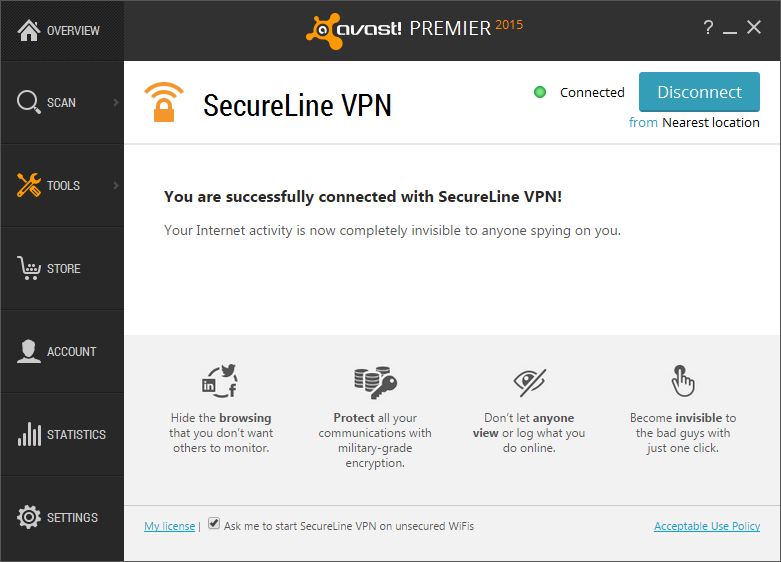 We’re happy to announce that Avast SecureLine VPN will now be preloaded onto ASUS notebooks. Avast SecureLine VPN is now being made available on the company’s popular notebooks worldwide (with the exception of China), making it possible to provide users across the globe with a secure online experience by protecting them from hackers and other vulnerabilities. Avast SecureLine VPN on ASUS devices gives consumers peace of mind, knowing that their sensitive personal data and information is protected and they can browse the Internet safely. Our strategic partnership with ASUS allows us to bring both a high-quality product along with safety and security to consumers – something we think is essential in today’s always-on, digital world, said Avast CEO Vince Steckler. Through this partnership, users of the ASUS X series notebooks will receive 30 days free of Avast SecureLine VPN. Customers can also look forward to a discounted renewal after these 30 days have expired. For those of you who don’t already know (and love) what Avast SecureLine VPN accomplishes, the product anonymizes your browsing and makes your logins, emails, instant messages, and credit card details invisible. ASUS selected Avast SecureLine VPN because of Avast’s reputable brand name and popularity throughout the world – and for that, we’re grateful. In addition to being available preloaded on ASUS notebooks, you can also find Avast solutions available on Google Play and in the Apple Store. At the end of this month, Avast will end support for our older consumer versions of Avast Antivirus. Those are: Avast Free Antivirus, Avast Pro Antivirus, Avast Internet Security, and Avast Premier. Update to Avast 2015 for maximum protection. 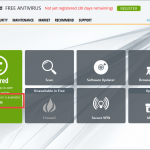 A good antivirus program is a necessity to protect your Windows PC from malware attacks, to keep your computer running smoothly, and to protect your online identity and personal data. Over the past 3 years, Avast engineers have improved our database of known virus definitions, the mechanism in which zero- day and widespread malware are detected, and the frequency of streaming updates sent to our customers. Avast 2015, with its unique Home Network Security feature which scans your home network for potential risks, is our best performing security product yet. After May 31st, 2015, Avast will no longer provide security patches or technical support for versions 8.0.1497 and lower. Security updates patch vulnerabilities that could be exploited by malware, endangering your machine and the data on it. Please update to the latest version so you can receive regular security updates and benefit from the enhanced features and higher detection rates that protect your computer from malicious attacks. This update is also recommended because the latest version is compatible with Windows 10. 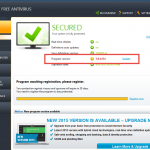 If you are running an older version of Avast, you can easily move to the latest version of Avast 2015. If you need to update later, here’s a quick way to do it. Right click on the orange Avast ball icon in the system tray. The update screen in the Avast user interface shows you the overall progress of the program update. When it’s done you will be asked to restart your computer. Click Yes to reboot immediately. Once the computer is restarted, information about the update may appear. If you are using a paid subscription, then your protection will be valid for the remaining period of your subscription. 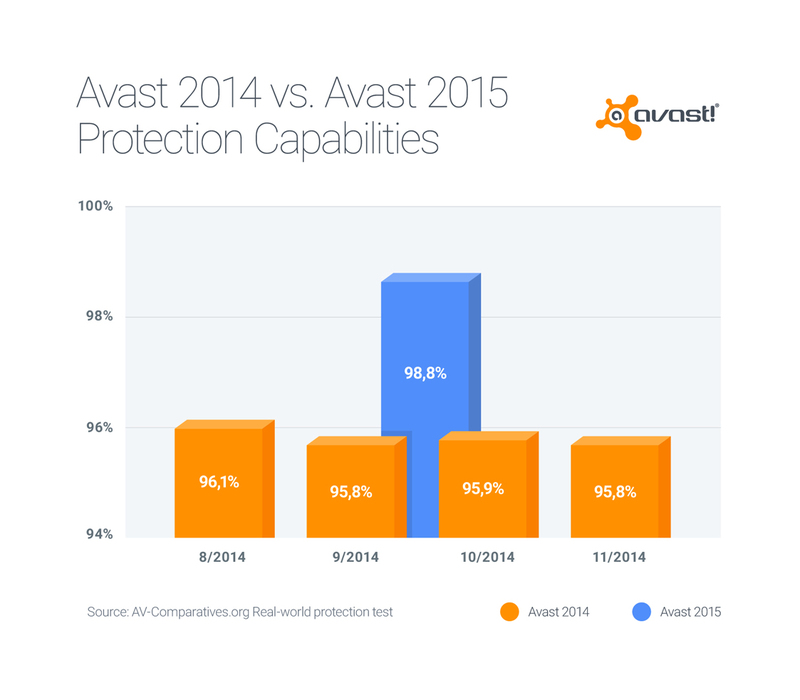 Avast 2015 has better detection rates than older versions. Update as soon as possible for maximum antivirus protection. If you prefer an older version of Avast and require technical support, you will be asked to update first before we can assist you. There will be no patches issued and technical support will end on May 31st, 2015.